It’s now been a couple of weeks since Elon Musk and SpaceX launched the Falcon Heavy into space. 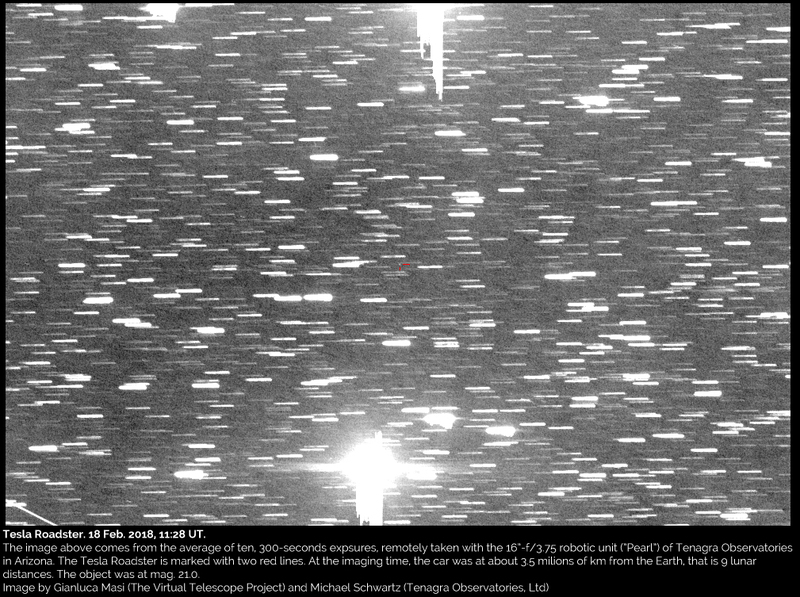 Its payload, a Tesla Roadster with the now-famous Starman behind the wheel, will orbit the Sun for millions of years according to SpaceX, and you can bet that astronomers will be taking every opportunity to spot it whenever they can. 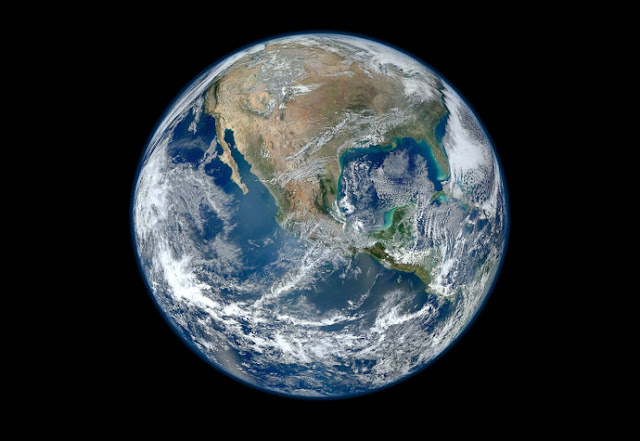 The latest observation comes from the Virtual Telescope Project, which managed to capture the faint speck of light reflecting back towards Earth. The animated image above is the result of several photos that were captured on February 8th, just a couple of days after Starman’s trip began. You can see the object quite well, but it’s moving away from Earth at a rapid pace. The latest image, which you can see below, is the latest spotting of the Roadster, and it’s much harder to see. It won’t be long before the Roadster and its passenger will be lost in the darkness, but because the car is in a Sun-centered orbit, it will regularly swing back around and occasionally come closer to Earth. In the distant future, the vehicle might even crash into Earth, Venus, or the Sun itself, but that won’t happen for millions and millions of years. If you’re interested in tracking the car’s progress as it flies around the Solar System, a website has been set up for just that purpose. You can see where the object is in relation to Earth, Mars, and other Solar System landmarks, which is pretty nifty.